The Isle of Wight has one of the best climates in the UK with frosts being uncommon and temperatures being on the high side. The largest garden centre on the island is clearly Busy Bee with its modern layout and well known cafe. However Thompsons, Honnor and Jeffrey alongside a good number of smaller plants nurseries ensures that there is a wide choice and lots of competition in the gardening market. 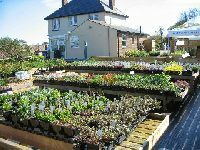 This is a true plants nursery which grows its own plants for sale. In peak times demand is so high that some of the plants are bought in from local growers but that is the price of success. Originally it was a .... Click here for the full review. Honnor and Jeffrey Afton Garden Centre serves gardeners on the western side of the Isle of Wight. 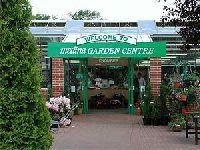 It's a full sized garden centre selling a good range of bedding plants, shrubs and trees. The plants are .... Click here for the full review. 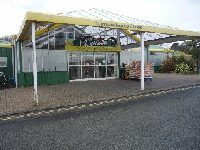 The entrance above is more like that of a small Dobbies garden centre rather than the other garden centres on the island. The plants area outside is on three levels and is relatively small compared to the overall .... Click here for the full review. Dalverton garden centre is the second of two owned by Honnor & Jeffrey on the Isle of Wight. It stocks plants, shrubs and trees as .... Click here for the full review. Deacon's Nursery specialise in fruit trees and bushes and operate the business as primarily mail order. Customers are welcome to .... Click here for the full review. Eddington House Nursery is a very specialist nursery which sells a restricted range of plants. Good news if you are looking for .... Click here for the full review. 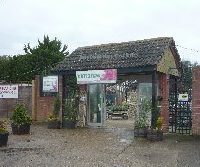 The Medina Garden Centre is part of the Butterfly World complex on the isle of Wight which is a great attraction for kids and adults. 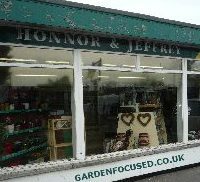 It's one of the larger garden centres on the island and it grows many .... Click here for the full review. The plants area stocks a full range of seasonal bedding plants, shrubs, herbaceous plants, ornamental and fruit trees. Much of the stock is home and locally grown. One of their specialities is South African bulbs .... Click here for the full review. The plants area at Thompsons Garden Centre in Newchurch is well arranged and some centre piece beds provide interest. The paths are wide and clear with a solid, mostly concrete surface. A small area at one end is .... Click here for the full review.